In the past few years, light-up neon signs (yep, like the beer-branded ones you proudly displayed in your college dorm room) buzzed on to the home decor scene. You can thank the Instagram-focused millennials who suddenly wanted to decorate their apartments with “Rosé All Day” and other trendy signage. But buzzing neon signs with cutesy catchphrases aren’t for everyone. Some of us want the brightness without the kitsch. Fortunately there’s a design trend for that. This year is all about neon-colored accents that give your decor some punch, minus the word art. Neon accents especially work well if your home already has a lot of white and gray but lacks some luminosity, he says. But be careful to note the undertones of your neutrals. Feeling brave enough to give your home a Technicolor dreamcoat? Here’s how to incorporate neon throughout your home and give your space a jolt of life. Your bathroom should radiate just like you do after you emerge primped and prepped each morning. So why do you have a sterile white-only aesthetic going on in your commode? 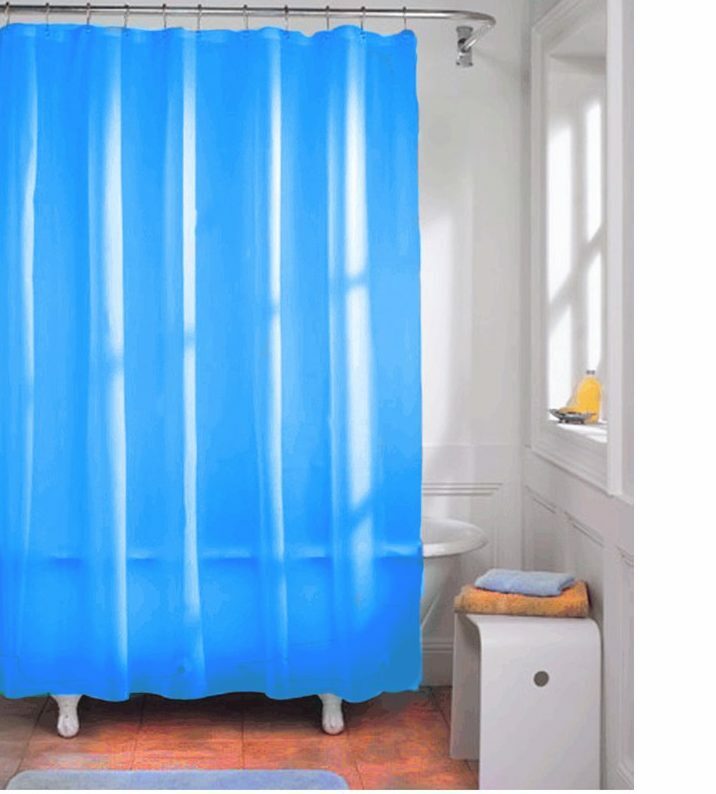 The quickest cure to infuse your bath with some life: a neon shower curtain. Technically, this neon-aqua version from Wayfair is just a liner, but if you want to be really bold, you can use it as the outer layer. Just put a white or clear liner or curtain underneath. Alternatively, get some neon-green bath towels for a burst of bright. 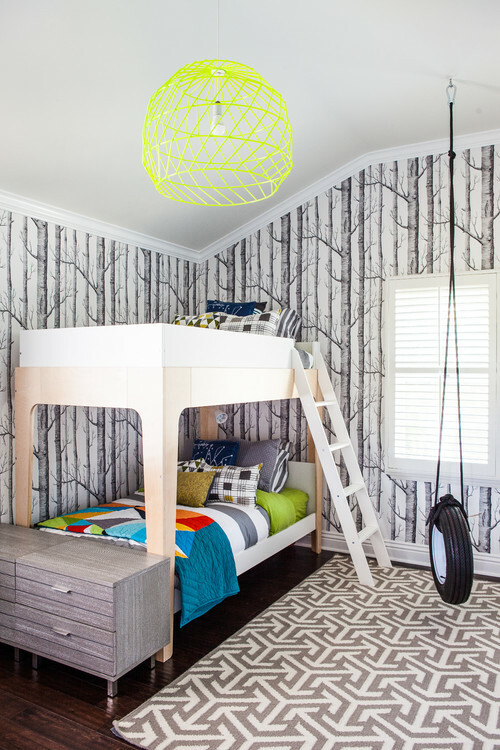 Your kid’s room, playroom, and/or nursery should have some element of fun built in—after all, this is the place where your little ones shouldn’t take themselves too seriously. But how do you add personality without painting or making kid-centric improvements that won’t age well? To the rescue: Colorful neon accents like light fixtures, art prints, sheets, and baskets. Your kids’ imaginations will run wild with this stimulating look. You might think there’s no place for neon in your chic and sophisticated living room set. This is one disruptor you might want to bring to the party, though. Case in point: If your room’s primary color is beige, white, or gray, a neon art print, wall hanging, or lamp can take the whole room from basic to next-level cool. And if you really like the idea of neon accents in your home, you might even want to invest in a neon coffee table or chair/ottoman combo that will be the new focal point of the space. These are perhaps the most surprising places to use neon; no one is going to expect your chic black or white kitchen or dining area to pop. Then you emerge with neon salad tongs, a bright neon salad bowl, or neon napkins and candlesticks, and boom! Everything around you suddenly feels alive and in Technicolor. Your food might even taste better and more exciting, according to science.